Wavelet Transformations and Their Applications in Chemistry pioneers a new approach to classifying existing chemometric techniques for data analysis in one and two dimensions, using a practical applications approach to illustrating chemical examples and problems. Written in a simple, balanced, applications-based style, the book is geared to both theorists and non-mathematicians. 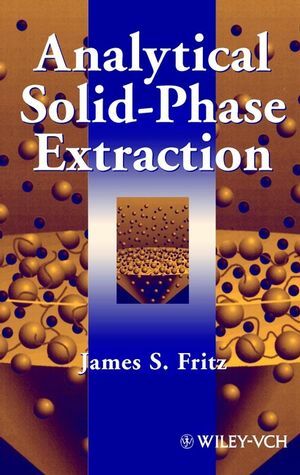 This text emphasizes practical applications in chemistry. It employs straightforward language and examples to show the power of wavelet transforms without overwhelming mathematics, reviews other methods, and compares wavelets with other techniques that provide similar capabilities. It uses examples illustrated in MATLAB codes to assist chemists in developing applications, and includes access to a supplementary Web site providing code and data sets for work examples. Wavelet Transformations and Their Applications in Chemistry will prove essential to professionals and students working in analytical chemistry and process chemistry, as well as physical chemistry, spectroscopy, and statistics. FOO-TIM CHAU, PhD, is a Professor in the Department of Applied Biology and Chemical Technology at Hong Kong Polytechnic University. YI-ZENG LIANG, PhD, is a Professor in the College of Chemistry and Chemical Engineering at Central South University, China. JUNBIN GAO, PhD, is a Professor in the Department of Mathematics at Huazhong University of Science and Technology. He is currently visiting the University of Southhampton. XUE-GUANG SHAO, PhD, is a Professor at the University of Science and Technology in China. 1.1.1. Developments in Modern Chemistry. 1.2.2. Instrumental Response and Data Processing. 1.2.3. White, Black, and Gray Systems. 1.3. Chemometrics-Based Signal Processing Techniques. 1.3.1. Common Methods for Processing Chemical Data. 1.4. 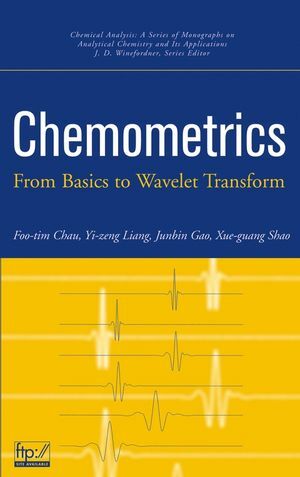 Resources Available on Chemometrics and Wavelet Transform. CHAPTER 2: ONE-DIMENSIONAL SIGNAL PROCESSING TECHNIQUES IN CHEMISTRY. 2.1. Digital Smoothing and Filtering Methods. 2.1.1. Moving-Window Average Smoothing Method. 2.2. Transformation Methods of Analytical Signals. 2.2.1. Physical Meaning of the Convolution Algorithm. 2.2.2. Multichannel Advantage in Spectroscopy and Hadamard Transformation. 2.2.3.1. Discrete Fourier Transformation and Spectral Multiplex Advantage. 2.2.3.3. Fourier Transformation as Applied to Smooth Analytical Signals. 2.2.3.4. Fourier Transformation as Applied to Convolution and Deconvolution. 2.3.2. Moving-Window Polynomial Least-Squares Fitting Method. 2.4.1. Data Compression Based on B-Spline Curve Fitting. 2.4.2. Data Compression Based on Fourier Transformation. 2.4.3. Data Compression Based on Principal-Component Analysis. CHAPTER 3: TWO-DIMENSIONAL SIGNAL PROCESSING TECHNIQUES IN CHEMISTRY. 3.1. General Features of Two-Dimensional Data. 3.2. Some Basic Concepts for Two-Dimensional Data from Hyphenated Instrumentation. 3.2.1. Chemical Rank and Principal-Component Analysis (PCA). 3.2.2. Zero-Component Regions and Estimation of Noise Level and Background. 3.3. Double-Centering Technique for Background Correction. 3.4. Congruence Analysis and Least-Squares Fitting. 3.5. Differentiation Methods for Two-Dimensional Data. 3.6 Resolution Methods for Two-Dimensional Data. 3.6.1. Local Principal-Component Analysis and Rankmap. 3.6.2. Self-Modeling Curve Resolution and Evolving Resolution Methods. 3.6.2.1. Evolving Factor Analysis (EFA). 3.6.2.2. Window Factor Analysis (WFA). 3.6.2.3. Heuristic Evolving Latent Projections (HELP). CHAPTER 4: FUNDAMENTALS OF WAVELET TRANSFORM. 4.1. Introduction to Wavelet Transform and Wavelet Packet Transform. 4.1.1. A Simple Example: Haar Wavelet. 4.1.3. Basic Properties of Wavelet Function. 4.3. Fast Wavelet Algorithm and Packet Algorithm. 4.3.2. Inverse Fast Wavelet Transform. 4.3.3. Finite Discrete Signal Handling with Wavelet Transform. 4.4.1. Multiresolution Signal Decomposition of Biorthogonal Wavelet. 4.5.2. Implementation of Two-Dimensional Wavelet Transform. CHAPTER 5: APPLICATION OF WAVELET TRANSFORM IN CHEMISTRY. 5.1.2. Data Compression Using Wavelet Packet Transform. 5.1.3. Best-Basis Selection and Criteria for Coefficient Selection. 5.2. Data Denoising and Smoothing. 5.2.3. Denoising and Smoothing Using Wavelet Packet Transform. 5.2.4. Comparison between Wavelet Transform and Conventional Methods. 5.3.4. Background Removal Using Continuous Wavelet Transform. 5.3.5. Background Removal of Two-Dimensional Signals. 5.4.1. Numerical Differentiation Using Discrete Wavelet Transform. 5.4.2. Numerical Differentiation Using Continuous Wavelet Transform. 5.4.3. Comparison between Wavelet Transform and other Numerical Differentiation Methods. 5.4.5. Resolution Enhancement by Using Wavelet Packet Transform. 5.4.6. Comparison between Wavelet Transform and Fast Fourier Transform for Resolution Enhancement. 5.5.1. Combined Method for Regression and Calibration. 5.5.2. Combined Method for Classification and Pattern Recognition. 5.5.3. Combined Method of Wavelet Transform and Chemical Factor Analysis. 5.6. An Overview of the Applications in Chemistry. 5.6.2. Chromatography and Capillary Electrophoresis. 5.6.6. Chemical Physics and Quantum Chemistry. APPENDIX VECTOR AND MATRIX OPERATIONS AND ELEMENTARY MATLAB. A.1. Elementary Knowledge in Linear Algebra. A.1.1. Vectors and Matrices in Analytical Chemistry. A.1.2. Column and Row Vectors. A.1.3. Addition and Subtraction of Vectors. A.1.4. Vector Direction and Length. A.1.5. Scalar Multiplication of Vectors. A.1.6. Inner and Outer Products between Vectors. A.1.7. The Matrix and Its Operations. A.1.8. Matrix Addition and Subtraction. A.1.10. Zero Matrix and Identity Matrix. A.1.11. Transpose of a Matrix. A.1.12. Determinant of a Matrix. A.1.13. Inverse of a Matrix. A.1.15. Trace of a Square Matrix. A.1.16. Rank of a Matrix. A.1.17. Eigenvalues and Eigenvectors of a Matrix. A.1.20. Derivative of a Matrix. A.1.21. Derivative of a Function with Vector as Variable. A.2. Elementary Knowledge of MATLAB. A.2.4. Methods for Generating Vectors and Matrices. A.2.6.2. Eigenvalues and Eigenvectors (eig).